The trick to reading while walking? Hold the book up a bit. 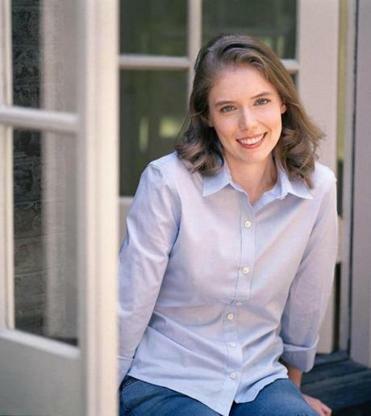 With her debut novel, “The Song of Achilles,” Madeline Miller turned her love and knowledge of Homer’s “The Iliad” into an award-winning, bestseller in 2012. Now she’s back on best-seller lists with “Circe,” which brings to life the infamous, island-bound witch of “The Odyssey.” Miller was born in Boston but grew up in New York City. She received bachelor’s and master’s degrees in Greek and Latin from Brown University. She will read from her new book at 7 p.m. Thursday, July 19 at the Portland Public Library in Maine. MILLER: For research, I’m reading a number of books about Carthage. I have “The Carthaginians’’ by Dexter Hoyos and “The Berbers” by Michael Brett and Elizabeth Fentress. I’m rereading my beloved mentor’s books about Virgil. Michael Putnam is the reason I went to Brown. These books are not really for a general audience. For that I would recommend “Why Vergil?” by Stephanie Quinn. It makes the case about why we should care about him. BOOKS: What advice can you give readers who want to get started on the Greek classics? MILLER: “The Odyssey” is an easy one. Emily Wilson’s new translation is outstanding, accessible, and readable. What I often recommend for “The Iliad” is the audiobook. It was oral tradition. An audiobook is a good way to get back to the original way of listening to it. BOOKS: Which is your favorite between “The Iliad” and “The Odyssey’’? MILLER: If I could take only one ancient epic to a desert island it would be “The Iliad.” It’s really such a moving and exciting work. The characters are really strong. It also feels more real. It’s anchored in human grief and human relationships. BOOKS: Who are your favorite contemporary authors? MILLER: I have loved Margaret Atwood since I was a teenager. I love James Baldwin, Hilary Mantel, and Colson Whitehead. I think Lily King is so brilliant, and I would say under-read. In terms of older books, I’ve read everything Elizabeth Van Arnim has ever written. She’s the author of “The Enchanted April” and a much lesser known work “Vera.” “The Enchanted April” is a sunny social satire. Then “Vera” is this deeply claustrophobic, brutal story of an abusive marriage. I admire that she could have two books with such different sensibilities. BOOKS: Have you ever met your match as a reader? MILLER: I am not a natural reader of philosophy. I always see those books in a store and want them, like the philosophy of mathematics. I pick it up and can’t get past the first chapter. I need narrative drive. I also can’t get into science fiction. I read Ursula Le Guin but just her fantasy stuff. BOOKS: Who else do you like for fantasy? BOOKS: What would people be surprised to find on your shelf? MILLER: My husband has some classic books on poker strategy, particularly Dan Harrington’s books. He got into poker, and I thought that was really neat so I read those books as well. BOOKS: Do you have any reading habits? MILLER: My reading quirk is that I read when I walk. I’ve been doing that for a long time. I did run into poles as a child. I now can read and not run into poles. You have to kind of hold the book up a little bit. I think if I lived in New York City it wouldn’t work so well, but in Philadelphia the sidewalks are often clear. You can glance down and see there’s no one coming for the next block and a half and get a bit good reading in.